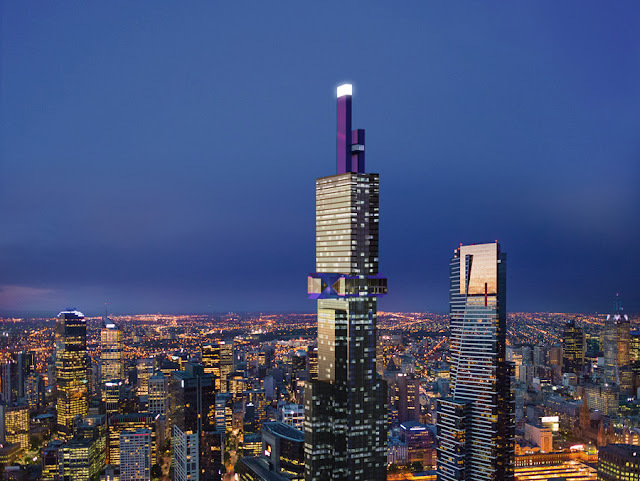 Planners in Melbourne, Australia, have approved a 388-metre-high hotel and apartment building, which will be the tallest building in the southern hemisphere when completed. 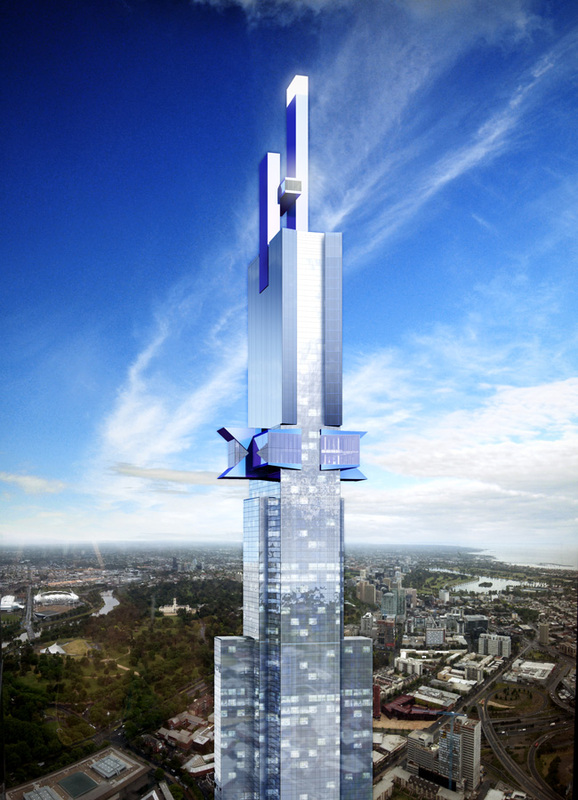 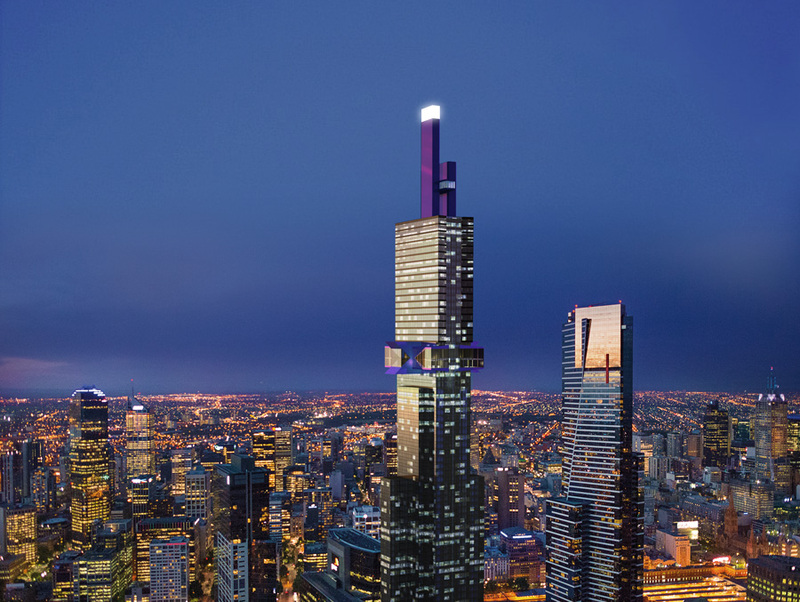 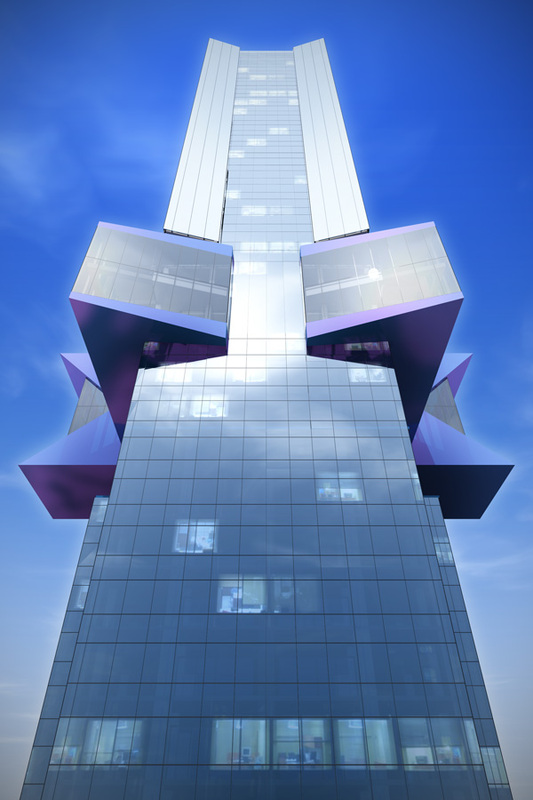 The tower, called Australia 108, is designed by local architects Fender Katsaladis and will be located just a few streets away from another of Melbourne’s skyscrapers, the 297-metre-high Eureka Tower. 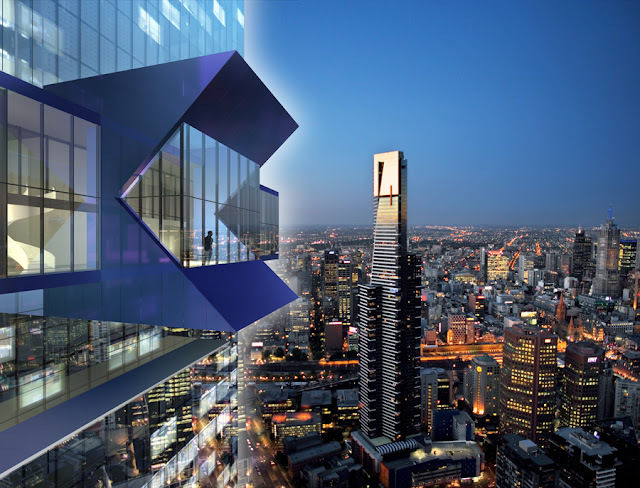 The building, which is due to be completed in 2018, will contain 108 floors of apartments, a luxury hotel, restaurants and bars on its upper floors, and a food market and cafe at ground level. 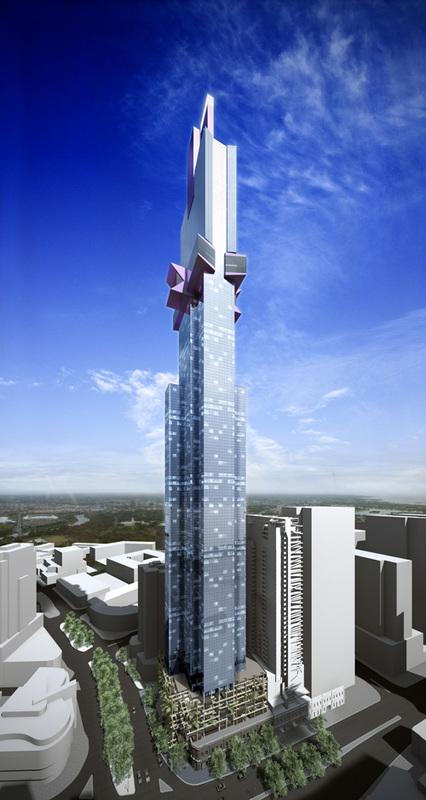 However, Australia 108 may not retain its title as the southern hemisphere's tallest for long, as an even taller skyscraper (the 447-metre-high Centurion-Symbio City tower) is set to be completed in Tshwane, South Africa, in the same year.